We had the opportunity to interview Jenn Dunphy, Senior Clinical Strategist with Get Real Health, at HIMSS 2017. Jenn discussed how both patients and providers can improve outcomes by utilizing data. She also highlighted the importance of integrating digital health technologies into patients’ lives and that data into the physician’s workflow. What are some unique considerations for different patients (age groups, disease, etc)? It is very important to make things personal for every patient group. We need to stop thinking that the more elderly crowd cannot handle the technology -because they can. For pediatrics, teens, and young adults, the content, look, and feel needs to relate to their age group. For example, they could benefit by drawing from social media to enhance their tools. The key is giving all the groups the tools that relate to them and that are going to make their life easier – ability to pay, ability to schedule, encouragement. We underestimate how much people like a pat on the back – very simple rewards go a long way. Are there certain medical conditions or populations you think patient-generated health data (PGHD) is better suited for? Weight scales for Congestive Heart Failure (CHF), blood sugar monitors for diabetes, post-op symptoms and wound journals for joint replacement, temperature to decrease readmission with pneumonia, and messaging for communication in all use cases. 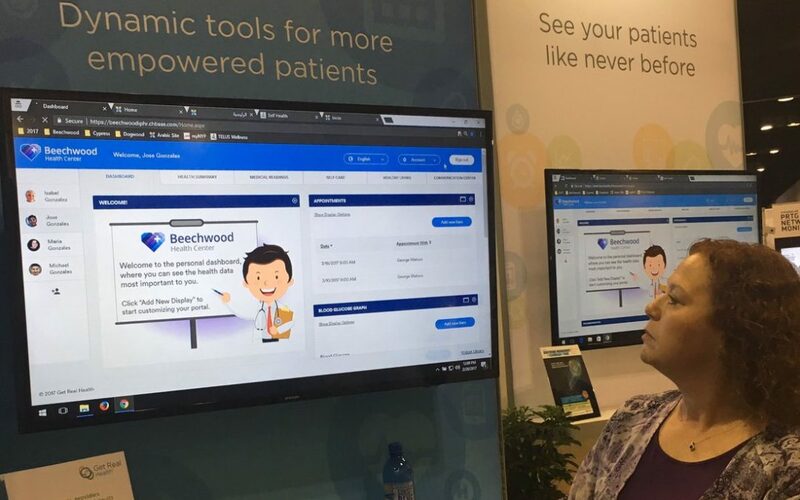 What benefits have you observed amongst the patients that are truly engaged in using the platform? They become more educated and end up owning their care and their disease. And, when they do, they are more likely to work towards their goals. How important is the integration of healthcare into the patient’s lives? Healthcare is a patient’s life whether it is wellness or illness. What you eat, drink, do in your normal life is your healthcare.